London designers Peter Marigold and Beta Tank have created a chair that uses sensory substitution technology to transmit high-definition moving imagery to the sitter’s brain. 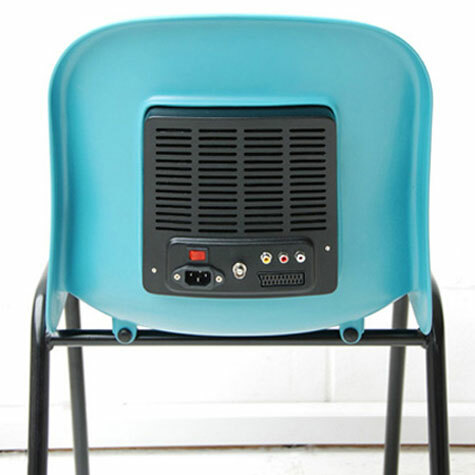 The design uses a standard plastic chair with a special electronic device attached to the back of it. Mind Chair is a standard polypropylene chair fitted with an electronic device that turns pixelated video imagery into physical sensations that are “read” by the sitter’s skin and transmitted to the brain.